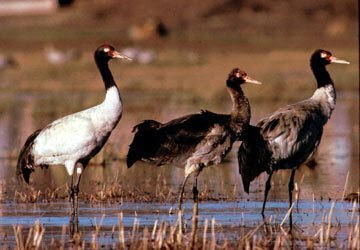 Our Beautiful World, Siberian Crane,Red-crowned Crane and Black-necked Crane. Page 1 of 2. In 1965 there were aboout 200 cranes here. extending from the bill to behind the eye. It has a yellow iris and reddish legs. The male is slightly larger than the female. 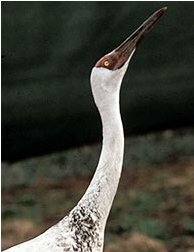 Juveniles have a feathered mask and buff or cinnamon plumage. The voice is flute-like and musical. 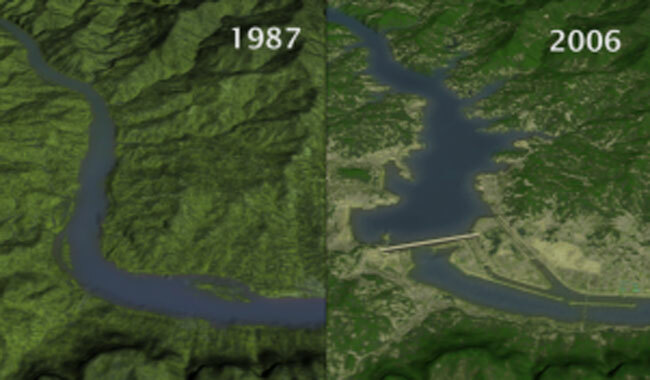 estimated to be around 2000 in China. 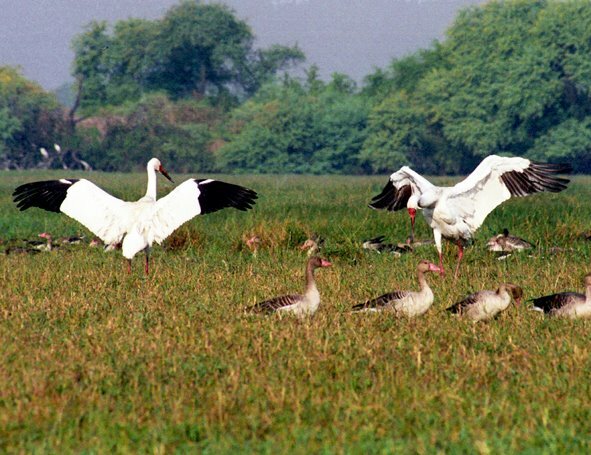 India has steadily declined and the birds are no longer found there. parts of its range, it is known as a symbol of luck, longevity and fidelity. blackish to the head and neck, and a patch of red skin on the crown. 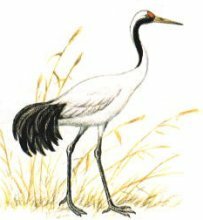 This patch of skin becomes brighter red when the crane becomes angry or excited. 136 cm in length (from bill to tail tip) and spanning 242.5 cm across the wings. 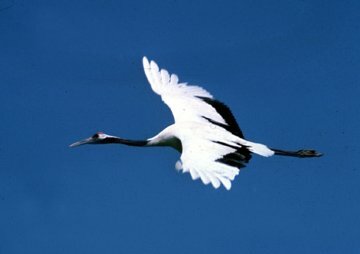 than females and weight ranging higher just prior to migration. found in eastern Hokkaido in Japan. 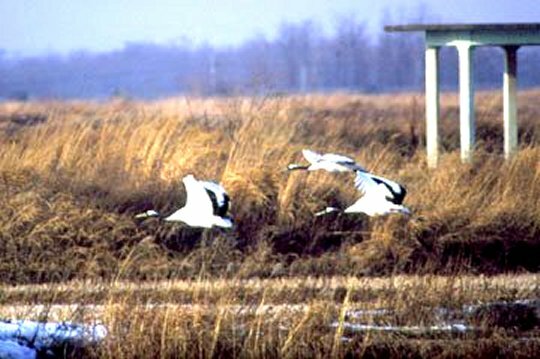 The habitats used are marshes, riverbanks, rice fields, and other wet areas. (by both sexes) lasts ~29 days. The male takes the primary role in defending the nest against possible danger. Chicks fledge (first flight) at approximately 70-75 days. 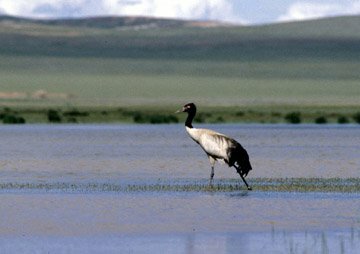 The Black-necked Crane, Grus nigricollis, is a medium-sized crane that is found on the Tibetan Plateau of Asia. 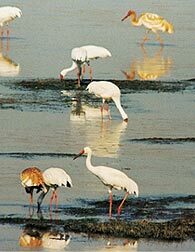 protected across much of its range.The Indian state of Jammu and Kashmir considers it as the state bird. 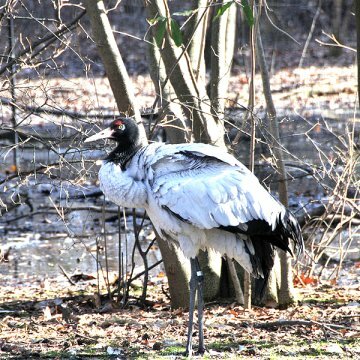 from the similar looking Common Crane which has grey tail. 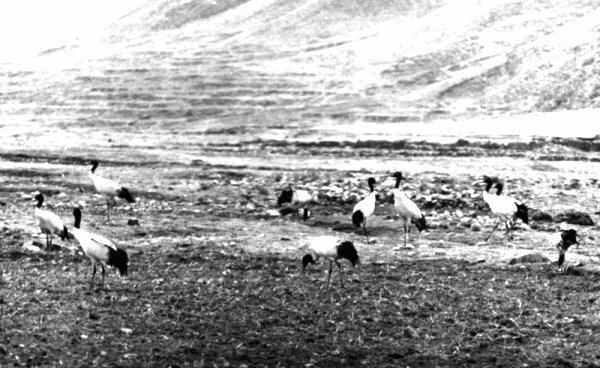 until 1975 and vagrants have been recorded in Nepal. 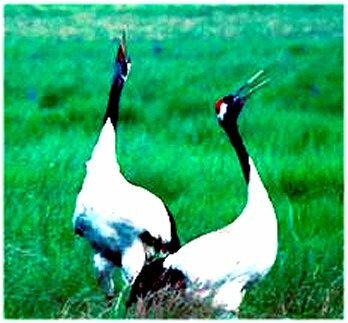 Currently, the Black-necked Crane winters in small numbers in two valleys of western Arunachal Pradesh, India. These are Sangti and Zemithang. Total number as per 2001 is estimated about 6.000.
and late afternoon. While foraging, they keep walking and they also walk long distances between the feeding spots. oats and buckwheat and will sometimes dig up and feed on potatoes, carrots and turnips. These birds are very wary, but in some areas they are accustomed to the local people who do not disturb them. 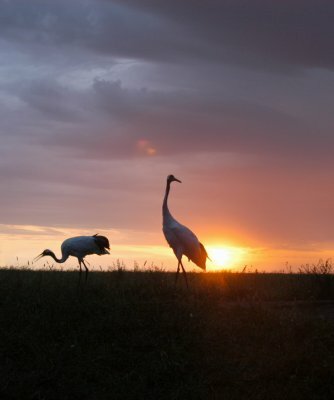 These cranes appear to be able to distinguish people in traditional dress and are especially wary of others. changes in traditional agricultural practices have reduced the availability of waste barley and spring wheat.